With squeezed budgets and ever more ambitious targets, facilities managers are increasingly finding that they have to do more with less. 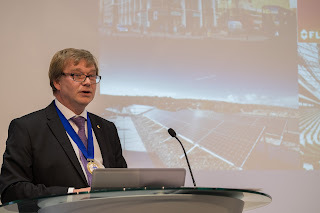 Following his speech at The Facilities Show this week, CIBSE FM Group chair Geoff Prudence expands on how facilities managers can step up to address the gap between a building’s designed performance, and its actual performance once built. Sometimes, the job of a facilities manager is an overwhelming task. They’re the ultimate guardian of their company’s building, and they’re the ones who have to protect the company from loss and litigation on a day-to-day basis. While there is a lot the facilities manager can do to optimise the building’s performance, from implementing defined maintenance strategies to using proper commissioning codes, often a lot of the factors that make their building perform poorly are related to its design. The Building Performance Awards have undergone a major shakeup for 2016, with the addition of new categories to the line-up. We explain the reasoning behind the introduction of the new awards. Following the launch of another Building Performance Awards, change is in the air for 2016. We have made some alterations to the categories available to enter, with the intention of shining a light on some of the unsung heroes of the built environment. We have introduced five new Project categories replacing the two ‘New Build Project’ and ‘Refurbishment Project’ awards withProject of the Year – Commercial/Industrial, Project of the Year – Leisure, Project of the Year – Public Use, Project of the Year – Residential and Project of the Year – Retail.